Now we are preparing lunch and after that we are going in to town to have a coffee at Snickarbacken with my grandma. Very cozy! 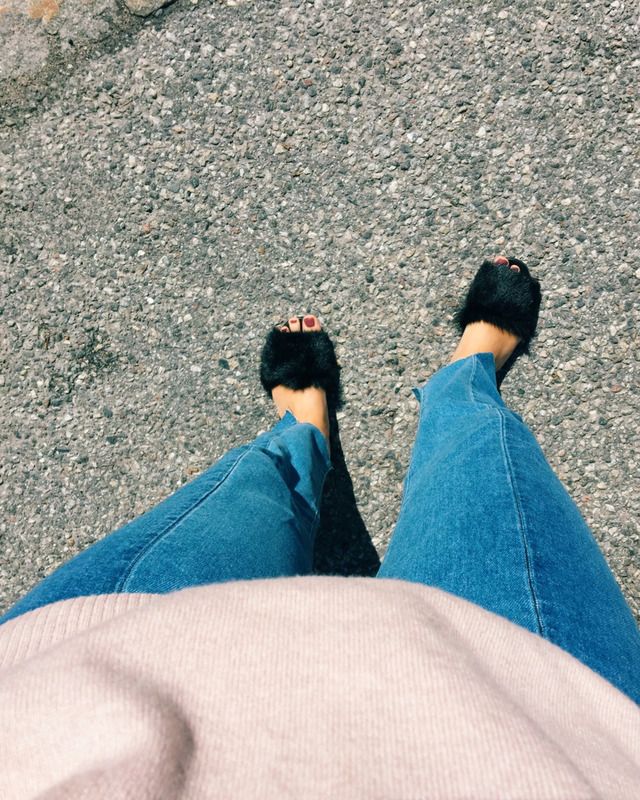 Yesterdays outfit, my favourite slippers from World Market Sthlm, new jeans from H&M and my lovely Soft Goat cashmere sweater in the color "Smokey Rose".